Artist Elizabeth Gould spent her life capturing the sublime beauty of birds the world had never seen before. But her legacy was eclipsed by the fame of her husband, John Gould. 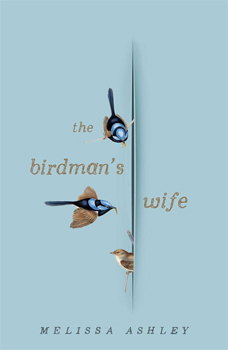 The Birdman's Wife at last gives voice to a passionate and adventurous spirit who was so much more than the woman behind the man. Elizabeth was a woman ahead of her time, juggling the demands of her artistic life with her roles as wife, lover, helpmate, and mother to an ever-growing brood of children. In a golden age of discovery, her artistry breathed wondrous life into countless exotic new species, including Charles Darwin's Galapagos finches. In The Birdman's Wife a naïve young girl who falls in love with an ambitious genius comes into her own as a woman, an artist and a bold adventurer who defies convention by embarking on a trailblazing expedition to the colonies to discover Australia's -curious' birdlife. An indelible portrait of an extraordinary woman overlooked by history - until now.